Paul Krugman has been on a particularly nasty kick this week over inflation. 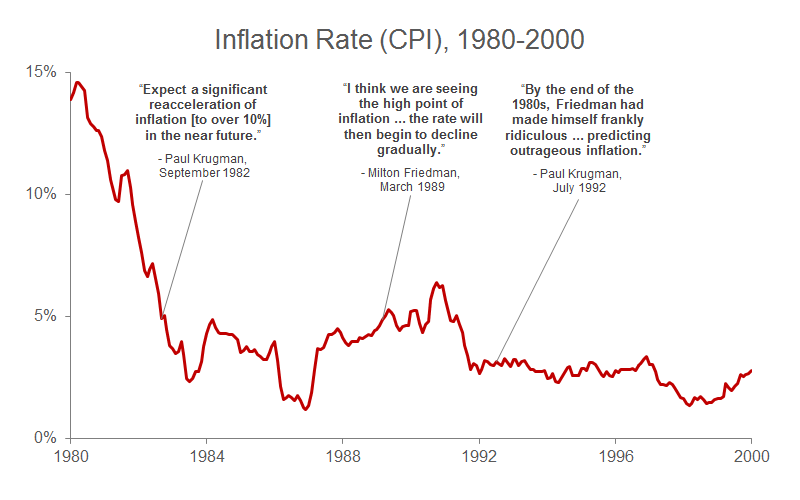 At issue are a series of predictions of an impending acceleration of inflation made by a number of economists on “the right” (most notably Alan Meltzer) over the past six year, none of which have played out as of yet. It is entirely fair to point out when a prominent economist makes a bad prediction, yet one might expect Krugman of all people to be somewhat more charitable in the case of bad predictions about inflation. 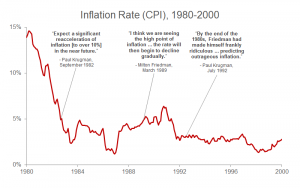 After all, as has been noted on this blog and many others, Krugman himself notoriously flubbed his own inflationary calls back in 1982 when he was working for the Council of Economic Advisers. Back then, Krugman (along with Larry Summers) authored an alarmist memo predicting that inflation, which had at the time of publication declined to about 5%, was on the verge of a rapid reacceleration that would take it northward of 10% in short order. Of course inflation did the exact opposite – it stabilized under 5% for practically the rest of the decade. Instead of the humility that might be expected from somebody who so terribly botched an inflation call of his own, we’ve gotten nothing but bile from Krugman and most of it flung at what he labels “the Inflation Cult” – the economists whom he chastises for erring in their own recent inflationary predictions. Indeed, Krugman has been chastising other economists over inflation predictions for decades, though he seldom if ever accounts for his own errors on this subject. In the early 1990s he even went so far as to place Milton Friedman in the “Inflation Cult” even though Friedman had actually (and correctly) predicted the opposite of what Krugman attributed to him at the time. Check that statement against the chart above, and it quickly becomes evident that it is the product of an individual who has a deep-seated and recurring difficulty in coming to terms with his own flubbed inflationary predictions. One might even say that Krugman’s disconnect from reality on this issue is…well…cultish. 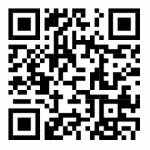 This entry was posted by Phillip W. Magness on Saturday, February 28th, 2015 at 9:50 pm	and is filed under Uncategorized. You can follow any responses to this entry through the RSS 2.0 feed. Both comments and pings are currently closed.